Talking about your finances with your partner can be a daunting undertaking, especially if it is a conversation that has been avoided and put off for an extended period of time. But money is an important part of our daily lives, and one of the most exciting things you can do with your partner is to decide how to spend it. There’s no reason to dread the money talk with these 6 simple tips for talking dollars and sense with your spouse. Having secrets is no way to show your commitment to being open and honest about your finances. If this someone you’re sharing your life with, you owe it to them and yourself to disclose all of your outstanding debts so they don’t turn into unpleasant surprises down the road. Review all your finances, as well as your credit scores, and identify problem areas. 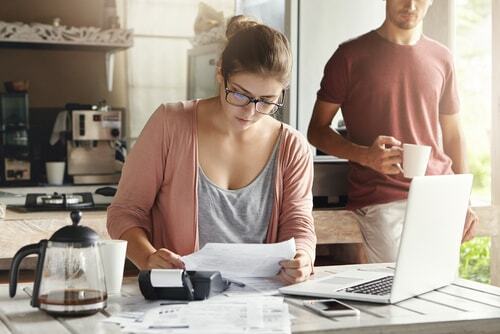 Raising awareness of your true financial situations can help you overcome problems, prioritize your goals and achieve financial stability much faster. You don’t want the first time you bring up your delinquent student loans to be right after you and your partner are turned down for a car loan or mortgage. We’ve all been there, and no one like to hear the words, “I told you so.” Instead of using this discussion to assign blame, take the important step toward a sincere and productive relationship, free from judgement. Once you stop assigning blame and commit to the fact you are in this together, it’s only going to make your relationship and your financial position that much stronger. Money can be a sore subject, especially if it’s already negatively impacting your relationship or general well-being. Do you wait for the pot to bubble over before you address it? Waiting until a problem becomes a crisis invariably leads to added stress, the need for auto title loans or friends and family to get you out of the situation. Are you underpaid? Perhaps it’s time you move on to a higher-paying job or get the education or certification required to make the extra money you need. If you’re underemployed, maybe it’s time to pick up a side hustle. If you have deadlines you just can’t miss and you own your car outright, South Valley auto title loans could also help you pay your bills on time and avoid hits to your credit. It’s easy to fall into the blame game when you’re worried about money. Instead of assigning blame or casting judgement, focus your energy and attention on finding solutions together. When everything is out there on the table, you can really break down your finances, prioritize your needs, and find ways to overcome just about anything, especially with the love and support of a committed partner. If you’re worried about the money talk with your partner, imagine how they must feel. Try to offer your support and let them know you’re in this together. They’re not just your roommate or co-parent – treat your partner like a teammate. When you’re on the same side and have the same goals, you’ll be amazed how much faster you can overcome problems and reach your financial objectives. 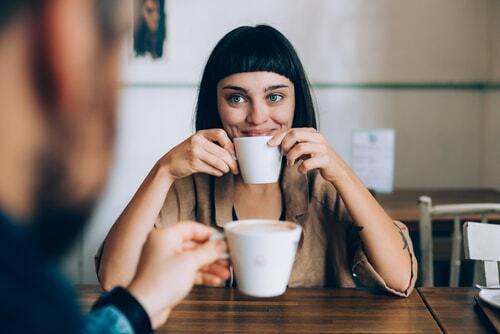 Keeping everything in perspective is an important part of talking dollars and sense with your partner, just like being mindful is important to have a better relationship with your finances. You’ll never any satisfaction or happiness in life if you’re always looking for “more.” Instead, take inventory of what you already have, and approach your life and what you have with a grateful heart. Take the time to appreciate what you have, and most importantly, each other. The best thing you can do is remember not to take your partner or their contributions for granted, and let every step you take together be a step toward a brighter future of stress-free financial security.